Corrosion can be a major problem, especially for long-term structural applications like this steel train trestle constructed over 80 years ago in Obetz, Ohio. Rust Bullet requires little or no surface preparation. 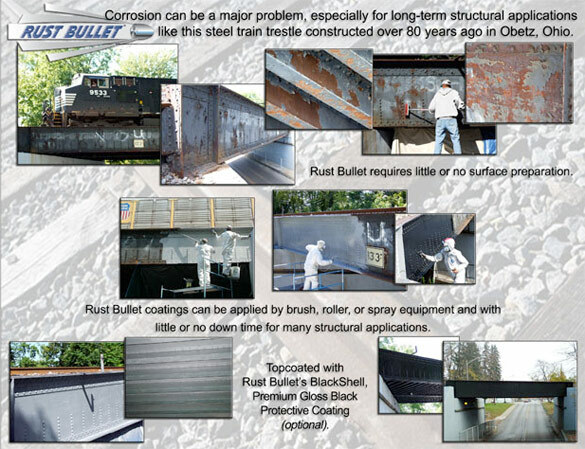 Rust Bullet coatings can be applied by brush, roller, or spray equipment and with little or no down time for many structural applications. Topcoated with Rust Bullet’s Blackshell, Premium Gloss Black Protective Coating (optional).